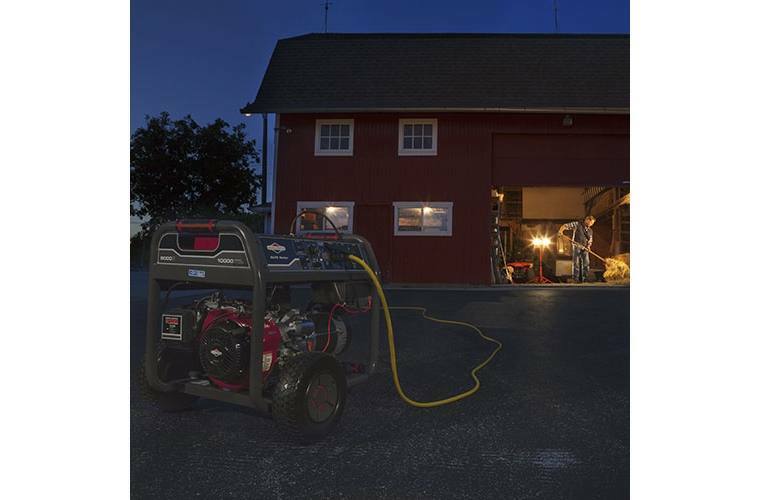 Power more household essentials and get your life back to normal during a power outage with our 8,000 watt Elite Series™ portable generator. 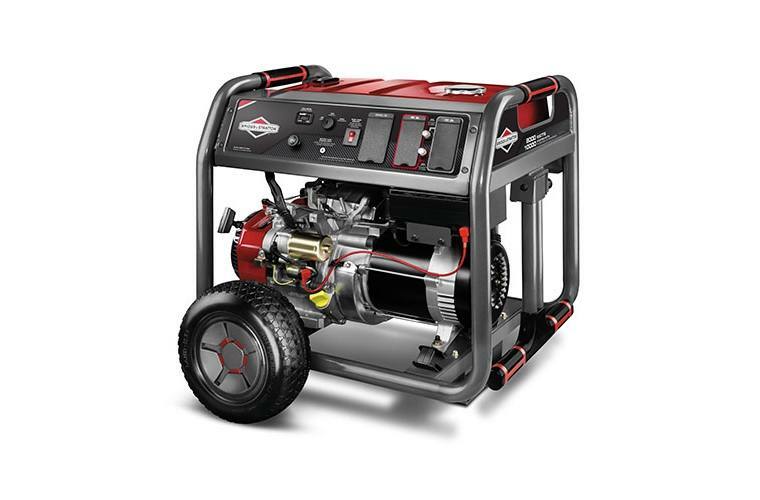 This heavy-duty generator is also great for serious do-it-yourself projects. It features our top-of-the-line Briggs & Stratton 2100 Series™ OHV engine, easy key electric starting and a long 9 hour run time (at 50% load). 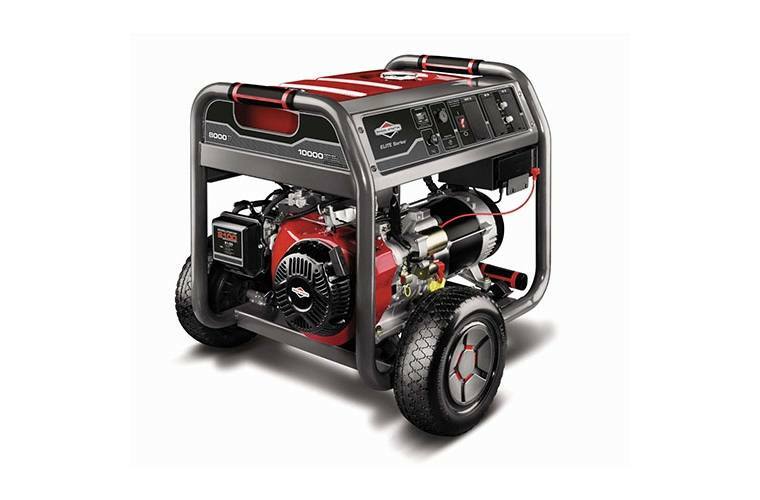 Briggs & Stratton Engine (420cc): For long life, high performance, and great fuel efficiency when using your portable generator. Multi-Featured Control Panel With Circuit Breaker Protection: Includes four GFCI 120 V household outlets and one 120/240V 30A locking outlet to power more essentials in your home, plus rubber outlet covers protect against the elements. Long 9 Hour Run Time (at 50% Load): A metal 7 gallon fuel tank for more durability and less refueling. Key Electric Start & Remote Choke: For quick and easy starting right from the control panel. Easy, All-Terrain Maneuverability: Featuring large 12" Never Go Flat wheels and a fold-up handle.